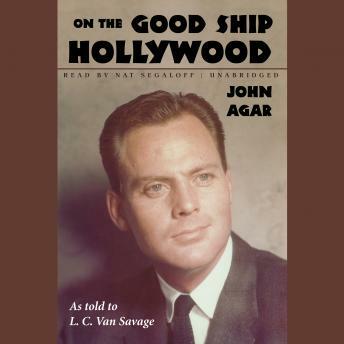 For over twenty years, the name John Agar on a marquee meant action to moviegoers-from World War II land, sea, and air battles, to the frontier west, to the new frontier of 1950s science fiction, where he stood fast against some of the era's most memorable movie monsters.Agar's rise to fame was meteoric: during World War II, the eighty-three-dollar-a-month buck sergeant met and later married "America's Sweetheart," Shirley Temple, and was soon offered a screen test and dramatic instruction by Hollywood megamogul David O. Selznick. He costarred in his very first film, director John Ford's magnificent Fort Apache (1948), and parlayed that impressive debut role into a two-decade string of heroic leads. Steady work was the important thing to Agar, who easily alternated between A-pictures (Ford classics, Sands of Iwo Jima, more), drive-in favorites (Revenge of the Creature, Tarantula) and low-low-budget exploitation items.A gracious, gentle man, Agar tells the bittersweet tale of his journey through life in this tribute volume.This is John's story.